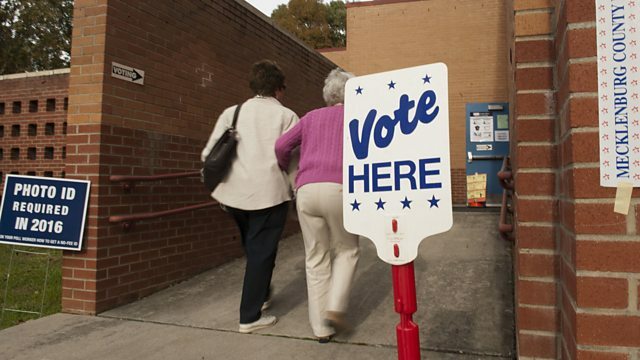 BBC World Service - More or Less, Is Democracy Failing in America? Does North Carolina really rank alongside Cuba and North Korea if you measure electoral integrity? Donald Trump’s claim that three million people may have voted illegally in last year’s presidential elections have not really stood up to scrutiny. The idea that people may have voted in more than one state, or votes were cast by the dead or non-citizens, have fallen foul of the facts. So can we rest easy that US electoral integrity remains intact? Not so fast. ‘North Carolina is no longer classified as a democracy’ screamed one headline that has since gone viral. A casual glance at the article might conjure images of rigged elections, stuffed ballot boxes, and the military on the streets of Raleigh and Greenville. Read the piece more closely and you will see the claim has been made using a measure of electoral integrity that puts North Carolina on a par with Cuba and just above places like Nigeria and Iran. This comparison may sound ridiculous but the measure by the Electoral Integrity Project is a well-respected product of Harvard University. So what is going on? How do you measure electoral integrity and are the results meaningful or is this an area where we should just leave the numbers out of it?